Ethiopia is one of the oldest countries in the world, having existed within similar borders to today for over 2000 years. For most of its long history its governmental system was an independent monarchy, which was overthrown in 1974. The communist military Derg government that followed was itself overthrown in 1991, since when a shaky democracy has seen several contested elections. The African Union is headquartered in Addis Ababa, Ethiopia’s capital. Ethiopia’s economy grew rapidly between 2005 and 2010. Agriculture is a major contributor to export income and most of the population is engaged in agriculture. Most agricultural production is by small-scale farmers, but the cash-crop sector accounts for a large proportion of agricultural exports, with the most important being coffee: Ethiopia is the largest coffee exporter globally. The country also has large mineral resources, with gold a major export commodity, but they have not seen much development to date; nor has the investigation of oil potential. Groundwater provides more than 90% of the water used for domestic and industrial supply in Ethiopia, but a very small proportion of water used for irrigation, which mostly comes from surface water. Ethiopia has vast surface water resources in lakes and rivers, which supply most of the country’s electricity through hydropower. Further expansion of hydropower capacity is planned, including the ‘Grand Ethiopian Renaissance Dam’, which is intended to become the largest hydroelectric power plant in Africa. However, the country has also suffered recurring devastating droughts, with severe impacts including famine, increased poverty and civil unrest. Please cite this page as: Kebede, Hailu, Crane, Ó Dochartaigh and Bellwood-Howard, 2018. Ethiopia's landscape includes a large highland area of mountains and dissected plateaus, divided by the Rift Valley, which runs generally southwest to northeast and is surrounded by lowlands, steppes, or semi-desert. This large diversity of terrain has led to wide variations in climate, soils and natural vegetation. The highlands in the central-west of the country are temperate, with high annual rainfall, or tropical savannah, with distinct dry and wet seasons. In the lowland areas in the east, the climate is arid steppe or arid desert, and is significantly hotter and drier. 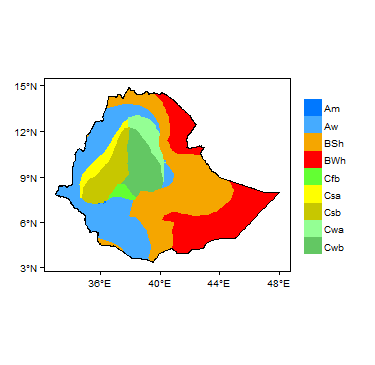 More information on average rainfall and temperature for each of the climate zones in Ethiopia can be seen at the Ethiopia climate page. The highlands of Ethiopia are the source of major perennial rivers, and Ethiopia also has a number of large lakes. Lake Tana, in the north, is the source of the Blue Nile, and there are a number of other major rivers. However, apart from these major surface water features, there are hardly any perennial surface water flows in areas below 1,500 m.
The Hydrology Directorate of the Ethiopian Ministry of Water Irrigation and Energy is the responsible body for installation and maintainence of river gauges. They also manage and disseminate the resulting river discharge data. Most hydrological records started in the 1960s following the initiation of the Blue Nile Basin Master Plan study by the USBR (United States Bureau of Reclamation). There are currently 489 operational river gauging stations in Ethiopia. Ethiopia is an ecologically diverse country, including deserts along the eastern border; tropical forests in the south; and extensive mountains in the north and southwest. The following section provides a summary of the geology of Ethiopia. More detailed information can be found in the key references listed below: many of these are available through the Africa Groundwater Literature Archive. The geology map on this page shows a simplified version of the geology of Ethiopia at a national scale (see the geology resource page for more details). Quaternary plateau basalts Quaternary Scoraceous basalts, mostly vesicular and scoraceous. Have a limited lateral extent. Associated with central eruptions from volcanic centres on the plateau; mainly associated with shields. Aiba, Alaji and Termaber formations (Upper Basalts) Oligo-Miocene (Tertiary) Basalts with intercalations of rhyolites and ignimbrites towards the top part. Can be associated with shield volcanics. Mostly massive basalt, but columnar jointed layers are common. Layers of acidic rocks, rhyolites and tuffs are also common. Paleosol layers may be visible between the contact of this unit with the the underlying Ashangie Formation. Thickness 1000 metres. Typically forms flat topped, uniform plateau areas, with cliffs at plateau edges. Alluvial sediments composed of diatomites, red beds, fluvial materials and paleosols. These were probably developed during the Holocene climate fluctuations. Up to 400 metres thick. Quaternary to recent alluvial sediments, lacustrine sediments, river terraces, volcanoclastics, colluvial and talus slopes, fluviatile and deltaic sediments, elluvials and soils. These localised deposits are present in central Ethiopia, southern and north western Ethiopia. Up to 500 metres thick. The Gabredarre Formation includes oolitic limestones, marls and some gypsum. It is horizontally bedded and characterised by karst features, including solitary caves such as the famous Sofomar caves. The limestones of the Sofomar caves region have the highest degree of karstification of Ethiopia's carbonate rocks. The Gabredarre Formation has limestone cliffs that are moderately jointed and have intercalations of sand, marl and gypsum beds. The Gabredarre Formation grades down to the underlying Urandab Formation, which is the equivalent of the Antalo Limestone. The Hamanile Formation consists of organogenic and oolitic limestones with shale and sandstone. The limestones are well jointed. The Haminile limestone plateau occurs on the Dolo to Negele Borena road around Bidre and consists of a marly, fractured, thinly (~1m) bedded limestone. Around Negele Borena the Hamanile limestone formation can be classified into at least five sub-units characterized by variable lithologies and intercalations. The succession is thinnest in the area of Negele town. The maximum thickness is about 700 m in the area of Filtu. Precambrian: Medium-High grade Mozambique belt in south and west Ethiopia Proterozoic Paleoproterozoic metasediments and gneiss and pre- and syn-tectonic granites. Generally high grade metamorphic rocks are interbedded with low grade metamorphic rocks This part of the basement in Ethiopia, unlike the basement in much of central Africa, has undergone multiple episodes of deformation and orogenesis. Precambrian: Low grade Arabian Nubian Shield in Northern Ethiopia Proterozoic A transition zone between low grade volcano sedimentary succession and mafic ultramafic complexes of the Arabian Nubian Shield. The key lithologies are metavolcano sedimentary rocks and post-tectonic granite intrusive igneous rocks. The most important aquifers in Ethiopia are formed by unconsolidated Quaternary sediments; Tertiary-Quaternary volcanic rocks; and Mesozoic consolidated sedimentary rocks. Basement aquifers are also important locally. A summary of these aquifers and their physical and chemical characteristics is in the tables below. More detailed information is available in the references listed below each table: many of these are available through the Africa Groundwater Literature Archive. Other hydrogeological maps from different sources have been produced and are available in different formats. Some can be viewed on the WHYMAP website. Alluvial sediments Afar Region: alluvial deposits in floodplains have moderate to high permeability, with measured transmissivity from 1-500 m²/day and yields of up to 20 l/s. These aquifers can be unconfined and confined; they vary in thickness from 0 - 400 metres; water table depth is typically in the range 1 to 60 metres; typical borehole depth is 100 m; salinity is very variable. In the Holocene alluvial aquifer borehole yields of 0.1 to 1 l/s have been recorded. Water levels are usually less than 5 m below ground surface. Northern Ethiopia: alluvial sediments overlying basement rocks can store appreciable volumes of water and are characterised by high permeability and high water infiltration capacity. They are typically shallow and have limited lateral extent, and form perched aquifers. Springs and hand-dug wells are common, with recorded yields ranging between 0.05 l/s and 0.17 l/s. Alluvio-lacustrine sediments These sediments have highly variable permeability. Fine sand deposits have the highest permeability, with some boreholes providing more than 10 l/s with minimal drawdown. Transmissivities range up to 700 m²/day and specific yields are of the order of 3.2 l/s/m. In several places higher transmissivities have been noted. For example, a 150 m deep borehole in alluvio-lacustrine deposits at the foot of the southern plateau has a transmissivity of 3012 m²/day. These aquifers can be both unconfined and confined; they vary in thickness from 0 to 400 metres; water table depth is typically in the range 1 to 60 metres; and the typical borehole depth is 100 m.
Fine-grained sands interbedded with massive volcanic tuffs and fine ash are known to have low productivity in many places (e.g. in the central Ethiopian Rift). In the eastern part of the country the total thickness of these sediments can reach about 300 m. In most of the outcrops, they consist of conglomerates, sandstone and mudstone, which are gypsiferous and locally bear saline groundwater. Quaternary Alluvial Aquifers within Lake Tana basin These occur dominantly in the eastern part of the basin following the lower Rib and lower margin of Gumera and Fogera plain (East of Lake Tana). They also cover a significant area of the north part of the basin at the lower part of the Megech and Western shore of Lake Tana. However, the distribution of alluvial sediments is limited compared to the volcanic aquifers. The deposits vary in thickness from 1 to 400m. The aquifers can be unconfined or confined. Water table depth is typically in the range 1 to 60 metres, and typical borehole depth is 100 m.
The productivity of this aquifer is controlled by the intergranular permeability of the unconsolidated gravels, sand and clay. They are typically high productivity aquifers, with boreholes up to 60 m depth recorded as yielding more than 6 l/s. The previous investigation aided with drilling on the lake floor shows the occurrence of indicates stiff clay up to 80 m depth. Wadi bed aquifers Although localised, these intergranular aquifers have significant groundwater potential in water scarce arid and desert settings. Wadi bed length exceeds 30 000 km across Ethiopia, and total groundwater storage in these aquifers could be as much as 3 billion cubic metres. The most important wadi aquifers, which support the livelihoods of millions of people living a pastoral lifestyle, include those in Borena, Lower Omo, Ogaden, the Western Lowlands bordering Sudan, and in the Afar depression. The most productive wadi bed aquifers are those dominated by sandy and gravelly sediments with a low proportion of clay. One of the highest yielding recorded boreholes abstracting from a wadi bed aquifer is the El-Gof borehole, which taps an intergranular sand and gravel aquifer, overlain by lacustrine sediments, and has a yield of 5 l/s. Other boreholes have recorded discharges of 0.5 l/s to 8 l/s. Key references for Quaternary unconsolidated aquifers of Ethiopia are Alemneh (1989); Chernet (1993) and Hadwen et al. (1973) (for more details see Key Hydrogeology References). Rift volcanics Generally low productivity with low borehole yields, from 1 to 5 l/s. In some conditions the aquifer is confined, leading to artesian conditions. Low borehole yields High fluoride and salinity, often exceeding WHO limits. Both direct rainfall and indirect (eg from river beds) recharge is common. Quaternary plateau basalts The most extensive occurrence is in the Lake Tana Basin, where these form a highly productive, fractured aquifer, with borehole yields reaching 20 l/s (there are other records of borehole yields of between 5 and 100 l/s), and groundwater discharge to rivers and springs. Elsewhere in Ethiopia the Quaternary volcanics are highly productive but have dual fracture-intergranular porosity. Highly productive Good water quality: generally bicarbonate type, low salinity, low fluoride. Direct and indirect recharge occurs. Shield volcanics This aquifer can be up to 500 m thick. Groundwater discharge occurs through springs, which are common at the foot of the shield areas. The intercalation of volcanic ash with basalt forms a dual porosity and permeability groundwater system: groundwater storage is focussed in ash layers, while groundwater flow is focussed through fractures in the basalt layers. Shield areas dominated by acid volcanic rocks show lower groundwater potential (e.g. in the Bale Massif). The aquifer is typically unconfined to semi confined. The depth to water ranges from 5 to 60 m, and borehole depths are typically 60 to 150 metres. Good water quality: generally bicarbonate type, low salinity, low fluoride. Recharge occurs through fractures in highland areas. Upper basalt aquifer (Aiba, Alaji and Termaber formations) This aquifer forms the most productive of the volcanic aquifers in Ethiopia. It is typically unconfined to semi-confined and often artesian. Groundwater discharge occurs to wetlands and to springs on cliffs. The aquifer thickness ranges from 50 to 1000 m. The depth to water table varies from 0 to 250 metres. Borehole depths are typically from 100 to 150 m. Borehole yields are generally up to 20 l/s. The Aiba Formation has dual porosity, with groundwater occurring in joints, fractures and scoriaceous layers. Deep boreholes show the presence of narrow but extensive fracture zones with high permeability and low storage. Transmissivity varies between 0.5 and 1400 m²/day. Borehole yields range from 5 to 150 l/s. Pumping test analysis and well logs from the Termaber Formation show that it is dominated by fracture flow. The most productive of the volcanic aquifers. Good water quality: generally bicarbonate type, low salinity, low fluoride. Recharge occurs vertically through the soil zone and fractures in the rocks. Lower basalt aquifer (Ashangie Formation) These rocks are characterised by rugged topography with dissected and irregular morphology. The rocks are deformed, and in their northern section dip at up to 40°. They are thinly bedded, and in several areas are brecciated. Field evidence shows that the brecciated parts are characterized by lower permeability. The rocks are typically deeply weathered, when they are reddish in colour, but generally have low permeability. Both primary (vesicle) porosity and secondary (fracture) porosity have been modified and reduced by secondary mineralisation (e.g. by calcite, zeolite and silica). 1) an upper layer, with gentle topographic slopes. Mostly scoriaceous, with several thin beds of clay soils. Recharge occurs vertically through this layer to the underlying layers. Springs are rare, and most groundwater discharge occurs as diffuse seepage on slopes, often contributing to landslides. 2) a thinner middle, more resistant layer, which often forms cliffs. When exposed at the ground surface by erosion, this can form locally extensive plateau areas, such as around the Upper Tekeze plains, Lalibela and the Belesa plain. Typically has higher groundwater productivity. 3) a lower layer, also with gentle slope. Mostly scoriaceous, with several thin beds of clay soils. Often contains cross-cutting dykes which are conduits for groundwater convergence and discharge. The aquifer thickness varies up to 500 m. The rugged topography means that the aquifer is not laterally extensive. Depressions in the rugged terrain are areas of groundwater discharge. The aquifer is usually unconfined to semi-confined. Typical borehole yields are between 0.5 and 20 l/s. Transmissivity ranges between 0.5 and 85 m²/day. The water table depth is typically between 100 and 200 m, and borehole depths are typically 150 to 200 m.
The contact between this unit and the upper basalt above is characterised by spring discharge. Good water quality: generally bicarbonate type, low salinity, low fluoride. 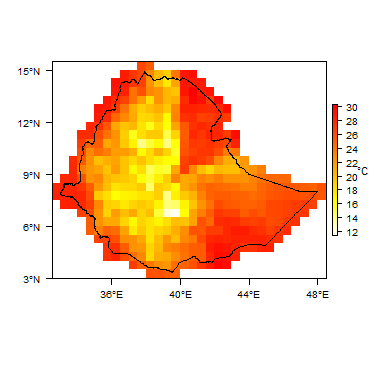 Key references for volcanic aquifers of Ethiopia are Kebede (2013) and Ayenew et al. (for more details see Key Hydrogeology References). - extensive cover by younger volcanic rocks. These features contrast with typical sedimentary basins elsewhere in Northern and Eastern Africa. In contrast to the sedimentary basin aquifers of northern and Sahel Africa, structural traps (such as synclines formed by compressional deformation) are uncommon, leaving little room for large volume groundwater storage. Hamanile, Gabredarre and Antalo formations (Jurassic limestones) The Gabredarre Formation is characterised by karst features, including caves. The limestones of the Sofomar caves region have the highest degree of karstification of Ethiopia's carbonate rocks. The aquifer has moderate permeability and productivity. The Hamanile Formation limestones are well jointed with moderate to high permeability. Evidence from boreholes in highland and midlands areas, where the aquifer crops out, shows that groundwater levels can be very deep: for example, more than 200 m below ground level between Filtu and Negele. Where the water table is shallower, the Hamanile limestones form relatively productive aquifers. In general, these aquifers are typically 500 to 1000 m thick, and are unconfined to semi-confined. The water table is usually 200 to 400 m deep; typical borehole depth is 300 m.
Good quality water generally. However, high concentrations of dissolved salts, including sodium, chloride and/or sulphate, occur due to reaction with abundant minerals in evaporite beds, and salinity can reach 3 mg/l. In high rainfall highlands, recharge could reach 200 mm/yr. In arid regions it varies between 10 mm/yr and 50 mm/yr. Adigrat Formation (Jurassic sandstone) The highly cemented Adigrat Formation has low primary porosity, and the top part has been altered by heating by Cenozoic volcanism. Fracturing has created secondary porosity and permeability. The emergence of springs at the contact of the Adigrat sandstone and the overlying volcanic rocks is indicative of the low permeability of the Adigrat Formation. This aquifer is typically 200 to 1000 m thick and is unconfined to semi-confined. The water table is usually 200 to 400 m deep; typical borehole depth is 300 m.
Very good quality water In highlands areas with high rainfall, recharge could reach 200 mm/yr. In arid regions it varies between 10 mm/yr and 50 mm/yr. Key references for Mesozoic sedimentary aquifers of Ethiopia are BSEE (1973), Chernet (1993), Hadwen et al. (1973), Haile et al (1996) and Kebede (2013) (for more details see Key Hydrogeology References). The productivity of basement aquifers in Ethiopia largely depends of the development of regolith (weathered rock) amd the density of fractures. In turn, these are partly controlled by the type or grade of metamorphic rock that forms the basement. Less important controls on groundwater occurrence are the sustainability of recharge; and topography. Groundwater in the basement aquifers occurs in shallow regolith (weathered rock) basins. Borehole yields from the most productive boreholes in basement aquifers are generally less than 0.1 l/s. Spring discharges in the basement complex are of the order of 1 l/s. Generally, basement aquifers in western and south-central parts of Ethiopia are productive, and the lowest productivity basement aquifers are located in northern Ethiopia and the Borena lowlands (near the southern border). The basement aquifers are unconfined. 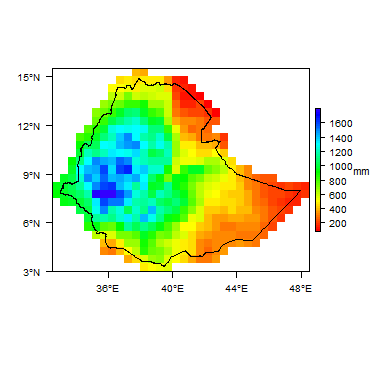 Aquifer (regolith) thickness varies from 0 to 60 m (thinner in northern Ethiopia and thicker in western Ethiopia - see below). The deepest known borehole struck water at 100 m. The water table is typically 2 to 60 m deep. Boreholes tend to be 60 to 120 m deep. Northern Ethiopia: the basement rocks of Northern Ethiopia have low groundwater potential. Groundwater occurs generally in fractures in the upper few metres of the unweathered rocks; in very thin regolith layers; and in patches of overlying alluvial sediments in river valleys (see the Unconsolidated section for further information). Southern Ethiopia: groundwater in the basement rocks is stored in, and transmitted through, both regolith layers and fractures. There is variable fracturing and regolith development. Borehole yields range from 0.13 to 0.33 l/s. Western Ethiopia: the crystalline basement aquifers of Western Ethiopia have better groundwater storage than in other areas. This higher groundwater potential is related to high rainfall that supports high recharge; to a relatively thick regolith which favours groundwater storage; and to rugged undulating topography which favours accumulation of weathering products in depressions and flat plains allowing groundwater storage and circulation. The average borehole yield is 5 l/s (Bako & Abakoran). The hydraulic conductivity of this aquifer varies from 0.12 m/day to 2.3 m/day. The key reference for basement aquifers of Ethiopia is Kebede (2013) (for more details see Key Hydrogeology References). Recharge over Ethiopia is extremely variable. It varies from nearly 0 to 300 mm/yr. Nearly 60% of aquifers receive indirect recharge from floods, mountain runoff, as well as fast recharge from high rainfall events. Diffuse recharge is limited to the plateau region which accounts for around 30% of the country. The geological uplift in the Cenozoic which led to erosion and dissection of the aquifers into smaller size units, has resulted in generally low storage compared to large sedimentary basins elsewhere in Africa. The storage to recharge ratio is around 28 years (Kebede, 2013). Groundwater quality is highly variable across Ethiopia, from fresh waters in many of the springs flowing from basement aquifers, to more saline waters in volcanic aquifers in parts of the Rift Valley and sedimentary aquifers of the plains. Fluoride has long been a recognised health concern in Ethiopia. Concentrations of fluoride in groundwater that are higher than the WHO guideline value of 1.5 mg/l have been found across Ethiopia, but are concentrated in the Rift Valley, linked to the volcanic geology. Groundwater fluoride values of greater than 10 mg/l have been found in some areas (Smedley 2001). As a result of the long-term use of high-fluoride drinking water, both dental and skeletal fluorosis are known to occur in populations from the Rift Valley. However, more research is needed on the links between geology, hydrogeology, fluoride concentrations and fluorosis in order to target interventions. High values of total dissolved salts in volcanic aquifers in the Rift Valley are linked to the influence of geothermal waters. Increased salinity in many groundwaters in sedimentary aquifers in the south, southeast and northeast of the country, is linked to the dissolution of evaporite minerals. British Geological Survey/WaterAid. 2001. Groundwater Quality: Ethiopia. Leaflet. Annual renewable groundwater resources are estimated at around 36,000 million cubic metres (36 billion cubic metres) , with estimates of total groundwater storage varying from 1,000 to 10,000 billion m³. An estimated 30% of groundwater storage is not available for direct use because of high salinity and/or high fluoride. There is low recognition at government level of the fact that wetlands are groundwater dependent. Some 80% of the total national water supply comes from groundwater. Kebede (2013) gives national estimates of groundwater abstraction volumes. Groundwater provides most of the water for domestic supply (90%) and industrial use (95%). To date only a very small proportion of irrigation demand (<1%) comes from groundwater, including small well irrigation by smallholder farmers, but some larger commercial irrigation schemes are pioneering the use of groundwater. Groundwater use for livestock watering is unknown. More hydrogeological research may help increase the use of groundwater for irrigation, for example in proving the existence of a large enough resource that can be sustainably abstracted. There are currently no regional or national groundwater level or quality monitoring programmes, and relatively little formal registration of boreholes and other water abstraction points. No person shall be engaged in the drilling or rehabilitating of water wells without a permit duly issued by the Ministry or his designee. Any person who wants to have water well drilled shall first acquire a permit to do so from the Ministry or his designee before entering a contract for this purpose with a water well drilling or rehabilitating contractor. Applications made to have a water well drilling or rehabilitating contractor. Applications made to have water well drilled must be accompanied with the design and specifications of such well. All water well drillers and rehabilitators shall, before entering in to a contract to drill water well, first ensure that the Ministry or his designee has approved that such well be drilled. All persons who want to have a water well drilled or rehabilitated shall, before entering in to a contract to have such water well drilled or rehabilitated, first ensure that the driller or rehabilitator has a permit to undertake the drilling or rehabilitating or water wells. A well driller or rehabilitator shall, within three months of completing a well drilling or rehabilitation, submit to the Ministry or his designee a technical report – that includes information about the drilling, construction and rehabilitation process, the geological and electrical log, yield tests, laboratory tests, problems encountered during drilling, construction and rehabilitation, pump installed. Informal local water user organisations exist for most small-scale traditional water schemes, including groundwater, that operate on more than an individual/household level, and typically do not have legal recognition or support. For formal and most modern schemes, there is usually a formal statutory water user association or irrigation cooperative. No management system exists specifically pertaining to transboundary aquifers. Conflict over water sources in general is common among pastoralists in the border region of Ethiopia and Kenya. 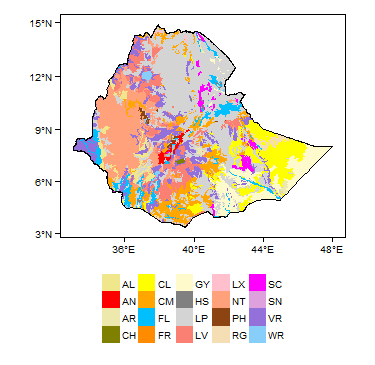 Many of the references below, and others relating to the hydrogeology of Ethiopia, can be accessed throughthe African Groundwater Literature Archive. Beyth M. 1972. The Geology of Central Western Tigre, Ethiopia. University of Bonn, p. 155. Davidson A. 1983. The Omo River Project. Reconnaissance geology and geochemistry of parts of Illubabor, Kefa, Gemu Gofa and Sidamo, Ethiopia. Ethiopian Institute of Geological Surveys Bull 2, 89 pp. Kazmin V, Shiferaw A and Balcha T. 1978. The Ethiopian basement: stratigraphy and possible manner of evolution. GeologischeRundschau 67, 531–548. Le Turdu C, Tiercelin JJ, Gibert E et al. 1999. The Ziway–Shala lake basin system, Main Ethiopian Rift: influence of volcanism, tectonics, and climatic forcing on basin formation and sedimentation. Palaeogeography, Palaeclimatology and Palaeoecology 150: 135–177. Mohr P. 1983. Ethiopian Flood Basalt Province. Nature 303:577- 584. Mohr P and Zanettin B. 1988. The Ethiopian flood basalt province. In: Macdougall, J. D. (ed.) Continental Flood Basalts. Dordrecht: Kluwer Academic, pp. 63---110. Rochette P, Tamrat E, Feraud G et al. 1998. Magnetostratigraphy and timing of the Oligocene Ethiopian Traps. Earth and Planet.Sci. Lett, 164: 497-510. USBR. 1964. Land and water resources of the Blue Nile basin, Ethiopia. United States Bureau of Reclamation, Main report, Washington. WoldeGabriel G, Walter RC, Aronson JL. 1992. Geochronology and distribution of silicic volcanic rocks of Plio-Pleistocene age from the central sector of the Main Ethiopian Rift. Quat. Int. 13–14, 69–76. Zanettin B, Justin-Visentin E. 1974. The volcanic succession in central Ethiopia, the volcanics of the western Afar and Ethiopian Rift margins. Univ. Padova Inst. Geol. Mineral. Mem. 31, 1–19. Alemneh S. 1989. Hydrogeology of Yabello sheet (NB37-14). Ethiopian Geological Survey report number 307. Addis Ababa, 40pp. Awulachew S. 2010. Irrigation potential in Ethiopia: Constraints and opportunities for enhancing the system. IWMI. Ayenew T, Demli M and Wohnlich S. DATE. Occurrence of groundwater in Ethiopian volcanic terrain. Journal of Africa Earth Sciences, 52 (3), 97–113. BCEOM. 1999. Abay River Basin integrated master plan, main report, Ministry of Water Resources, Addis Ababa. Belete Y, Alemirew D, Mekonen A et al. 2004. Explanatory notes to the hydrogeological and hydrochemical maps of the Asosa-Kurmuk Area (NC36-7 West of Assosa and NC36-8 Assosa sheets). Geological Survey of Ethiopia, Addis Ababa, 120 pp. Chernet T. 1982. Hydrogeologic map of the lakes region (with memo) Ethiopian Institute of Geological Survey (now Ethiopian Geological Survey), Addis Ababa Ethiopia. Chernet T. 1993. Hydrogeology of Ethiopia and water resources development Ethiopian Institute of Geological Surveys, Addis Ababa, 222pp. Federal Democratic Republic of Ethiopia Ministry of Water Resources and GW-MATE. 2011. Ethiopia: Strategic Framework for Managed Groundwater Development. Gasse F. 1977. Evolution of Lake Abhe (Ethiopia and TFAI), from 70,000 BP. Nature (London) 265 (5589), 42– 45. Gebru TA and Tesfahunegn GB. 2019. Chloride mass balance for estimation of groundwater recharge in a semi-arid catchment of northern Ethiopia. Hydrogeology Journal 27 (1), 363–378. doi: 10.1007/s10040-018-1845-8. Hadwen P. 1975. Boreholes in Ethiopia. Geological Survey of Ethiopia, Unpublished report number 29, Hydrogeology Division, Technical Memorandum 9, Addis Ababa, 22pp. Hadwen P, Aytenfisu M and Mengesha G. 1973. Groundwater in the Ogaden. Geological Survey of Ethiopia, report number 880-551-14. 59pp. Haile A, Kebede G and Lemessa G. 1996. Reconnaissance Hydrogeological and Engineering Geological Survey of Bikilal, Achebo and Dilbi Areas. Ethiopian Institute of Geological Survey, Report Number 880-351-06., Addis Ababa, 9pp. Hailemeskel M. 1987. Hydrogeology of South Afar and Adjacent areas, Ethiopia. Supported by interpretation of LANDSAT imagery. Unpublished MSc thesis. International Institute for Aerial survey and Earth Sciences (ITC), Enschede, the Netherlands. MWR. 2007. Evaluation of water resources of the Ada’a and Becho plains groundwater basin for irrigation development project, Volume III: Groundwater Evaluation Report, Water Works Design and Supervision Enterprise, Addis Ababa, 188pp. Ralph M Parsons Company. 1968. Groundwater condition at Dallol, Ethiopia, Geological Survey of Ethiopia report number 880-201-01, Addis Ababa, 29pp. Sima J. 1987. Hydrogeology and Hydrochemistry of the Bako and Ist’IfanosHayk’ areas (NB 37-9 and NB37-13), Provision Military Government of Socialist Ethiopia, Ministry of Mines and Engergy, Ethiopian Institute of Geological Surveys. Note Number 271, Addis Ababa, 65pp. Sima J. 2009. Water Resources Management and Environmental Protection Studies of the Jemma River Basin for Improved Food Security. AQUATEST ,Geologicka Prague, Czech Republic, 220 pp. Smedley P. 2001. Groundwater quality: Ethiopia. British Geological Survey. Spate Irrigation Network Foundation. 2015. 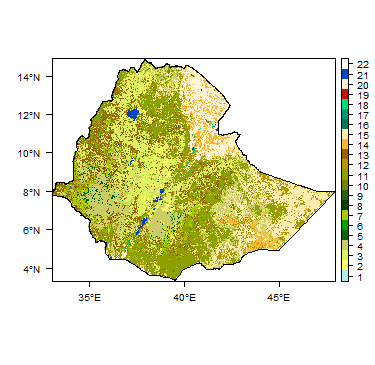 Status and potential of groundwater use in Ethiopian floodplains. Practical Note Spate Irrigation 17. Tadesse K. 1980. Hydrogeology of Borkena River Basin, Wollo Ethiopia. Unpublished MSC thesis, Addis Ababa University, 129pp. WAPCOS. 1990. Preliminary Water Resources Development Master Plan for Ethiopia, Ministry of Water Resoruces, Addis Ababa. WWDSE. 2009. Groundwater Resources of the Upper Tekeze Basin: Resource Description, Assessment and Model, Interim Report. Water Works Design and Supervision Enterprise, Addis Ababa, 74pp. Zerai H and Sima J. 1986. Hydrogeology and hydrochemistry of the Dire Dawa area (Sheet NC 37 12). Provisional Military Government of Ethiopia, Ethiopian Institute of Geological Survey, Note number 276, Addis Ababa, 82pp. This page was last modified on 21 February 2019, at 12:34.